Red Star Revolt is a power rock trio (Aaron Nava: vocals, bass, keyboards; Clutch: guitar, keyboards; and Dino Cuneo: drums, percussion) based in Denver, Colorado who came together in 2007. This self-titled CD is their debut release and it can be summed up in one word: “boring.” The promo literature lists influences such as The Mars Volta, Pink Floyd, Queens of the Stone Age, Muse, Led Zeppelin, Incubus, Tool, The Police, Radiohead, Rush, Porcupine Tree, Opeth, A Perfect Circle, King Crimson, Yes, and Voivoid. There are definitely elements of some of these bands on this disc, but the music never gels. The songs are all too long and you rapidly lose any interest you might have, merely hoping for the disc to end soon. Aaron’s vocals are annoying and the monotonous, driving beats on each song (though different) numb your mind instead of grabbing your attention. The only decent song is “Thorns for June,” and you have to slog through eight other songs before getting here. But even this wears a bit thin over its six minutes. 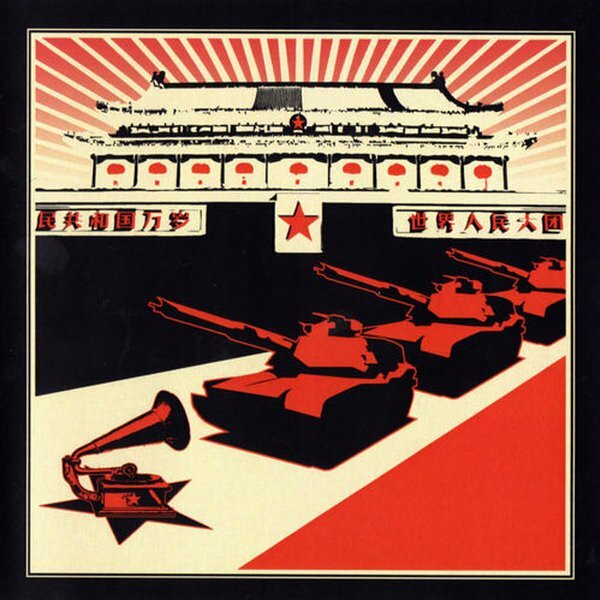 Despite the promise of the cover art with tanks rolling through Tiananmen Square to crush a Victrola, Red Star Revolt does not deliver. In all good conscience, I cannot recommend this release.